Two ladies, hand & hand, stroll down Hollywood Blvd. 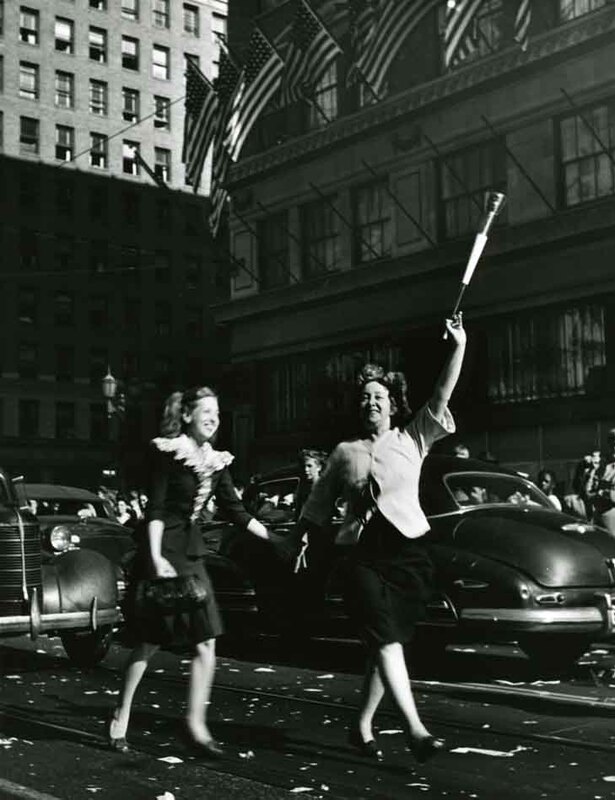 in celebration of VJ Day (the end of WWII with Japan). When the war with Japan, during WWII, was declared over, Hollywood went wild. Office workers came out of their offices to celebrate on Hollywood Blvd. Automobiles were stuck in traffic because so many people were on the street. 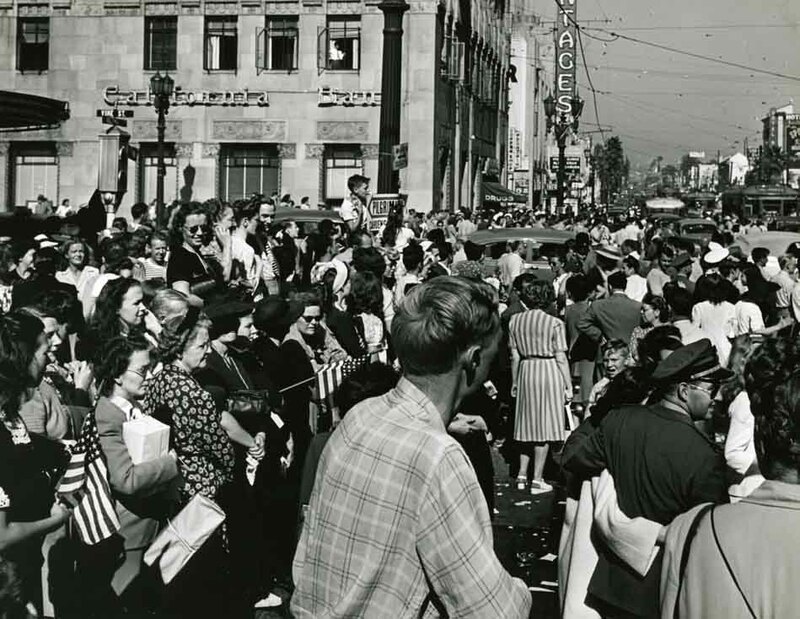 Thousands of residents and workers streamed out onto Hollywood Boulevard to celebrate the end of the war with Japan, during WWII. 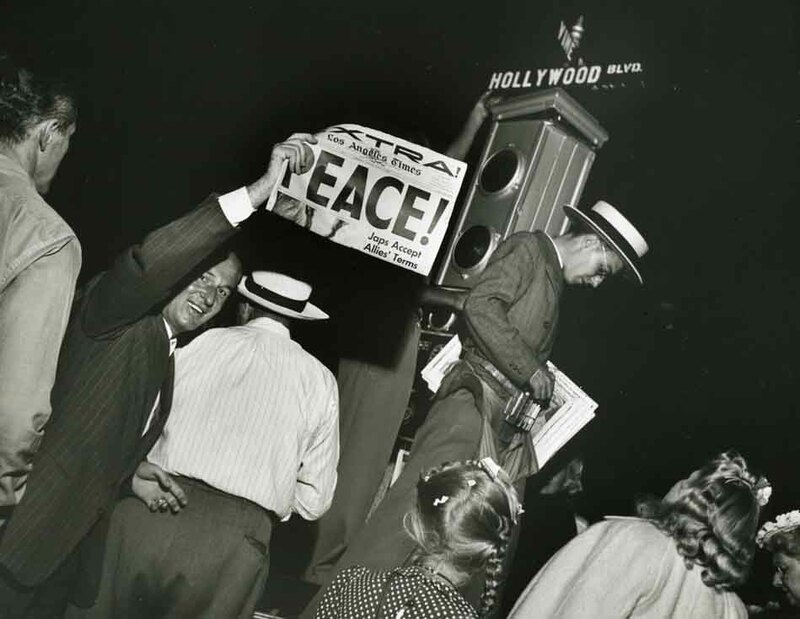 When President Truman announced, on August 14, 1945, that the war with Japan, VJ Day, was over, the nation went wild Hollywood went wild. 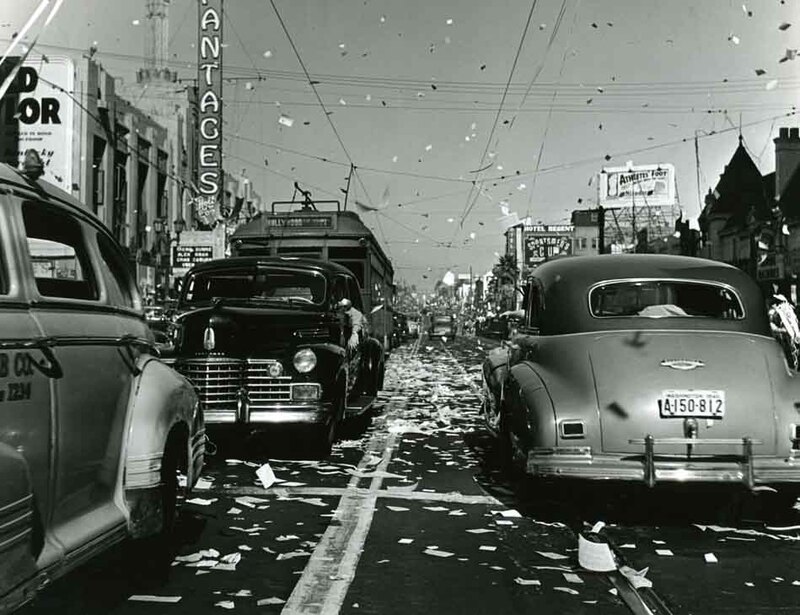 Rushing from offices, stores and homes, thousands of people poured onto Hollywood Blvd. In the midst of sirens, whistles, auto horns and screaming, the streets were snowed with confetti scraps of paper of every sort that floated down over the jammed sidewalks which a moment before had been sanely trod with quiet shoppers.